What are the Penalties for Tricare Fraud? Tricare fraud involves the submission of false and fraudulent reimbursement claims for healthcare services provided to patients under the federal Tricare program. The government currently investigates approximately $50 billion in “suspicious” Tricare reimbursement claims every year. Unfortunately, due to the government’s focus on combating Tricare fraud, many innocent business owners and executives are finding themselves under investigation. Regardless of the circumstances, your situation requires immediate attention if you are being investigated for Tricare fraud, and you need the help of an experienced attorney who can execute a strategic defense plan to help you avoid facing criminal charges. Similar to Medicare fraud and Department of Labor (DOL) fraud, Tricare fraud refers to the submission of false or fictitious claims to a federal governmental healthcare program. Currently, the federal government is aggressively prosecuting owners and executives of pharmacies and compound pharmacies who it suspects of committing Tricare fraud. Since Tricare is the healthcare benefit program for the United States Department of Defense Military Health System, Tricare investigations fall within the jurisdiction of the Department of Defense (DOD). In addition to the DOD, the Office of Inspector General (OIG), the Department for Health and Human Services (HHS), the Department of Justice (DOJ), the Federal Bureau of Investigation (FBI), and other federal law enforcement agencies all investigate allegations of Tricare fraud. The Drug Enforcement Administration (DEA) frequently joins in Tricare fraud investigations as well – particularly when the target of the investigation is a compound pharmacy. If the investigation is criminal, federal prosecutors will bring Tricare fraud charges in U.S. District Court, and seek an indictment. 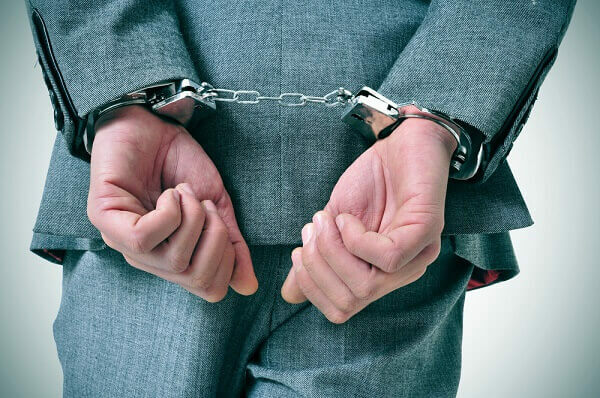 If convicted, a healthcare business owner or executive can face long-term imprisonment. Criminal Tricare fraud cases are unique, and require the representation of an experienced healthcare fraud defense attorney who has an intimate understanding of both the federal healthcare laws and federal criminal procedure. In civil investigations, targets can be held liable for recoupment requests, civil fines of up to $11,000 per false claim, treble damages, and fees payable to the attorneys of the U.S. government. In addition, they can face non-payment of future claims and exclusion from future participation federal healthcare programs. Civil liability generally falls on healthcare companies, but, in some cases, can be imposed on company executives, as well. If you are under investigation, you need an attorney who understands how to use the complexities and nuances of federal healthcare law to get their clients’ cases dismissed. The attorneys of the Oberheiden, P.C. have extensive experience in representing individual and corporate clients in Tricare fraud investigations nationwide, and have a long track record of helping clients avoid criminal and civil liability. If you are being investigated for Tricare fraud, we encourage you to contact us immediately for a free criminal defense evaluation. Call (800) 701-7249 or tell us about your investigation online now to speak directly with a senior healthcare fraud defense lawyer at the Oberheiden, P.C.. Defending Against Allegations of Tricare Fraud: Choosing the Right Lawyer Can I Appeal a Plea Agreement?